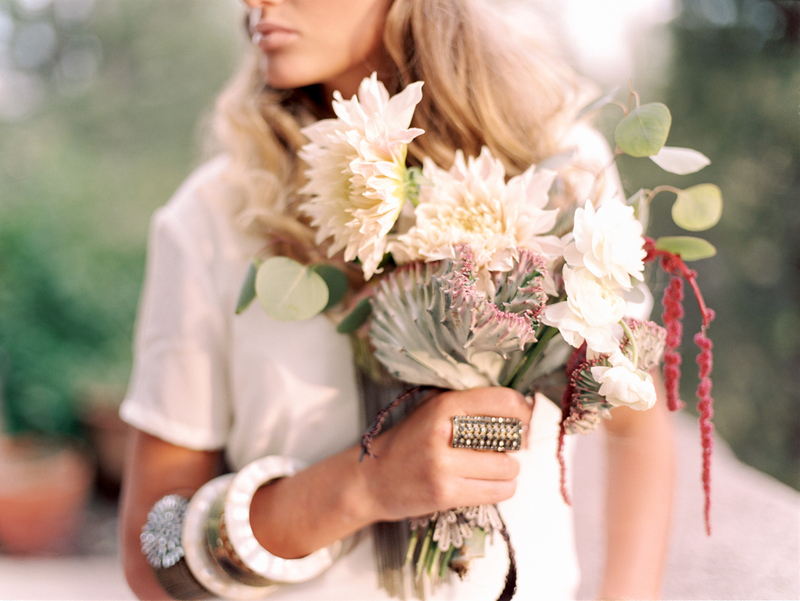 Photographer Lisa O'dwyer and I got to chatting one day and were both inspired by a southwestern flare. We wanted to find two interpretations within this style so I came up with two looks. One as the Painted Desert: the bold, colorful look inspired by the southwest with corals and turquoise, and fresh whites. The second look was Refined Tribal... seen here. In essence, we wanted to show that a bride can take a certain style or theme, and with the help of her vendors, get a unique look as she explores her chosen style or theme. 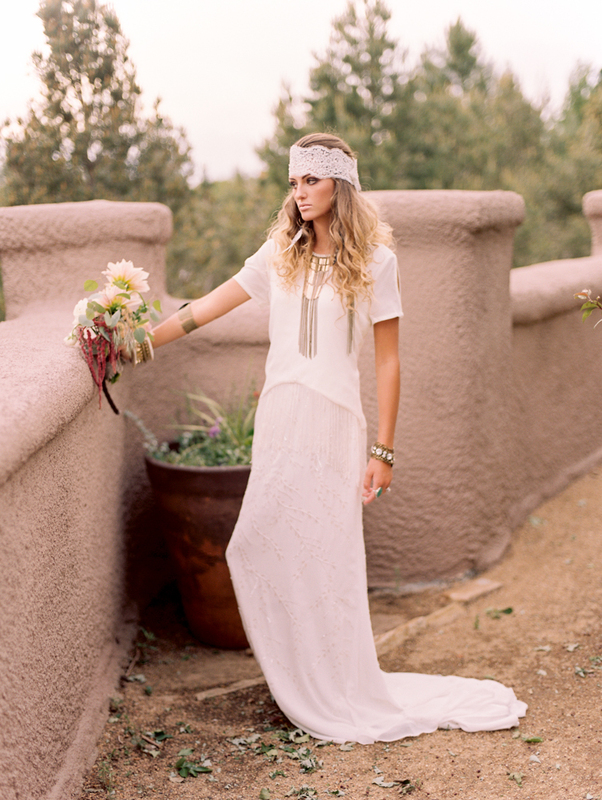 To perfect a ‘refined free bird southwestern’ look, the bride is wearing Isabel by La Sposa from Dora Grace Bridal. It is a flowy dress with a gorgeous vine-like detail throughout paired with a fringe top from Charming Charlie to give it more of a raw, southwest look. Her look is kept refined and feminine with a headband (belt) by Maritza’s Bridal and a veil by Malis Henderson, both from Dora Grace Bridal. The bride’s look is complimented with black, lacy, polished bridesmaid dresses by Mori Lee and La Femme from Dora Grace Bridal. To bring in that tribal flair, accessorize with chunky yet natural element jewelry like wood, leather, stones, feathers, and muted metals.